Twenty years of transformational program design and delivery, a background in classical and applied psychology, and specialization in group dynamics and dialogue makes Michael an expert resource for any learning initiative. He is the Co-Director of Critical Mass Leadership Education, Inc. (CMLE), a not-for-profit organization dedicated to guiding people in having an experience of impacting and influencing their environment. Michael has spent the last 15 years working with thousands of teens and adults from around the world, including those who impact young people’s lives such as teachers, parents and coaches. Michael is often times contracted as a motivational speaker for groups such as the Institute for International Education and the Orbis Institute. 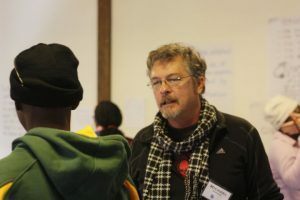 For five years, Michael contracted with College Summit, helping establish that organization as a recognized change maker in education in the USA. From 1987- 1996, Michael also led programs for one of the most recognized and successful adult education programs in the world. Michael has led programs ranging from conflict resolution, leadership development, civic engagement, diversity & inclusion to organizational management, effective communication and project design and completion. 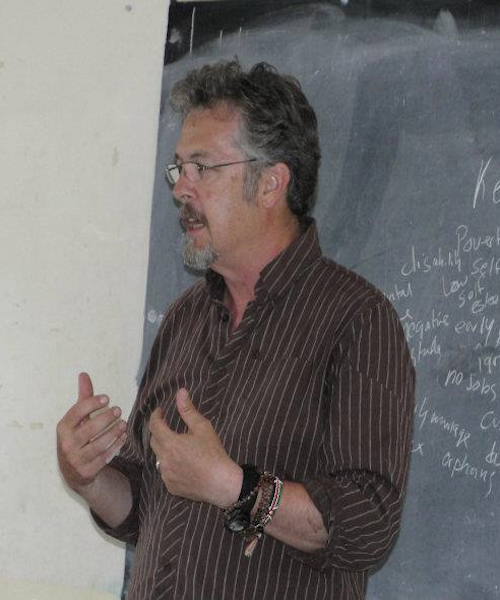 His work spans anything from single and multi-day trainings with school districts, corporate groups and non-profits to year- long projects with the U.S. Department of State His passion for the transformational power of conflict has led him to work with marginalized people in the USA, the Caribbean, Asia, the Middle East, Africa and Central Europe. Michael’s work with teens and educators on the divided island of Cyprus over the since 2003 is well established and recognized by the United Nations, the U.S. Embassy in Nicosia and several on-island NGO’s. Michael’s skill at bridging the gap between transformational and informational learning has created a dynamic shift in the leadership of young people on the island, resulting in sustained participation from hundreds of past participants in his BoldLeaders Projects. Michael has received numerous awards and recognitions, including the Ying Cai Award (One who Honors Learning) by the staff and administration of a Denver high school and the World Leader Causing World Leaders Award by a school’s Student Council. Michael was named one of the twelve 2004 recipients of the Minoru Yasui City of Denver Award for Community Service. Together with his partner, Glenna Norvelle, Michael and Glenna actively work to engage people to discover their passion and then take action. Twenty years of transformational program design and delivery, a background in classical and applied psychology, and specialization in group dynamics and dialogue makes Michael an expert resource for any learning initiative.